A review on the best 10-inch subwoofer for your car with well-researched products that would guide you in giving you more options. And now it’s time for what many people would consider the fun part of fixing up your car: the sound system! Music is a crucial aspect of most people’s lives, and thusly a super plush sound system to play your music while driving is something that I personally find to be a necessity. Choosing the ideal sound system for your personal needs and tastes is a topic that could span a library of books for those who wish to get extremely detailed in their design. Which one is your ideal car sound system ? To go that detailed here in this article would be a bit absurd, however many audio experts would argue that the best place to start when designing a car sound system is with the proper selection of the sound system’s centerpiece, the subwoofer. In light of that, it is also loosely said that the most versatile and commonly used size for a subwoofer is 10 inches. 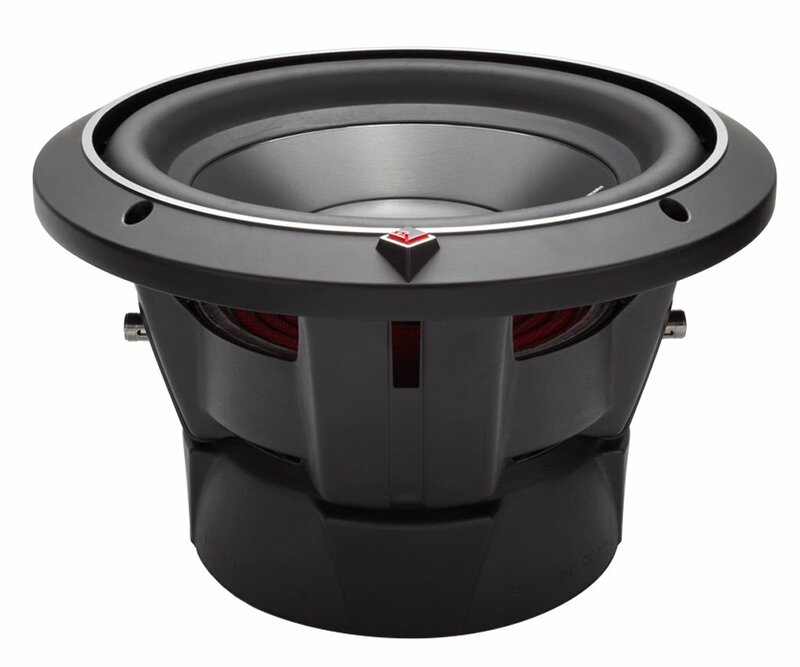 Therefore, I will aim to be your starting point and give you some guidance on selecting the best 10-inch subwoofer for your car. Let’s get started then. The first thing to think about is the type of sub which you would like. There are different types of subs as well as many options and variations on additional components which would be necessary in order to mount and use your sub-woofer. For instance, if you are an audio connoisseur and want to design your system by yourself down to the conductive material of your speaker wire, then you will likely want to pick out what is called a component subwoofer. There are different types of subs as well as many options and variations on additional components which would be necessary in order to mount and use your sub-woofer. A component subwoofer is literally just the speaker part of the sub and still requires the acquisition of an external amplifier and mounting box. This option allows you to hand pick every component in your system, as the final sound of a sound system is determined by not only the speakers but also the mount boxes, the amplifier and so on. This option is probably the savviest way to go, but not everyone wants to concern themselves with the finer details of a sound system, nor does everyone need to be so specific in their specifications. For those who would rather take the less involved route, there are other options. The option of a mounted sub is a bit more convenient at the cost of customization. A mounted sub is a subwoofer that comes already assembled in a mounting box. A sub which is specially pre-configured for the box it is mounted in can have some advantages, but can also be a hang-up if you require a unique shape to fit your car. A mounted sub will also still require an external amplifier unit to supply power to the speaker. For an even more convenient yet generic solution, there is the option to get a powered sub-woofer. A powered subwoofer is a ready made unit which includes the speaker, mount box, and amplifier all in one enclosure. While I would not recommend this path to someone who has very detailed and specific plans for their sub in mind, it is ideal for someone who just wants a solid system that works, sounds good enough and requires less work in selecting and installing parts. 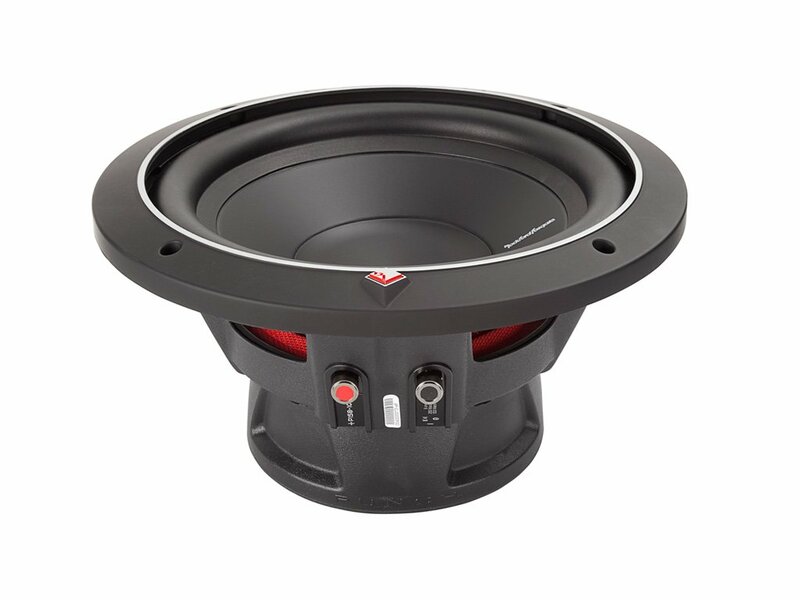 Some real quality products do exist in this facet, which also makes it a solid option for people who just want to add a subwoofer to their car’s stock sound system. Every sub for any system will need to have care taken to ensure that the sub-woofer and all of its components will match up to the system’s power output, impedance level, and overall form factor. This means checking power rating of the power supply in terms of the RMS output level, as opposed to the peak output level, which only tells you the output level at it’s maximum and minimum capabilities. You could find the detailed materials of the sub’s contents in the subwoofer's specs sheet. Familiarizing yourself with the different types of impedance levels of speakers is important. Taking note of the number of ohms denoted by the speaker's spec sheet and manufacturer’s label is another thing to do because that is where you could find the detailed materials of the sub’s contents. Another way to go for those who want the best of all worlds without having to think about any of it. That option is to buy your sub as part of a packaged system. Packaged systems are an entire sound system which was previously designed by a specialist to serve a wide range of customers. If you know of an auto shop or local expert who you trust to build an amazing system, that is your best bet for getting top notch results. This option will obviously cost more, as you would be hiring an expert to select, build and install your entire system to your specifications. You can also skip hiring the expert and buy a generic, pre-packaged kit, but this is less likely to bring you the finest, highest quality results. Here are some readily available products which appear to be the most popular to date, along with our review and footnotes for each. 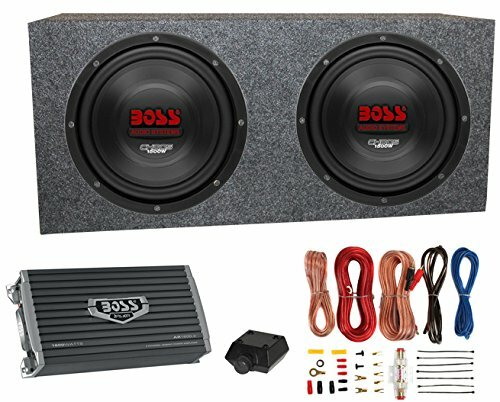 Boss has been a reputable company in car audio for quite some time. Here they offer a powered dual voice 10” subwoofer kit that features everything you would need out of the box to get your car’s bass bumping. While the audio enthusiast would probably like to pick each component by hand, even the enthusiast would agree that this product offers a solid configuration as a turnkey solution at a competitive price. This one takes the cake – not because there aren’t other products which can compete, but because this will fit the widest range of customers needs right out of the box. Next up, the KICKER dual component sub combo. This is geared more towards the sound system “do-it-yourselfer,” allowing for the selection of the additional components. These are some quality made subs that are designed for maximum power at minimal cost. That is not to say that there aren’t cheaper subs out there, but the level of quality that these offer for the price is actually pretty impressive. For those who seek the most “boom for the buck,” This is a solid choice. Maybe overkill for someone who is more focused on overall quality of sound instead of volume. The Rockford Fosgate P1S4 is a significant step down from the previous items in terms of price tag, while maintaining a level of performance that is still comparable. That is not to say that the most expensive piece of gear is always the best. With the right configuration, this little bad-boy can deliver the kind of bass you need while costing you less money.It may not have as much power as the previous items, but its quality is tight, punchy and focused. Two can be made into a dual voice system if desired, but even just one would offer plenty of bass for most people who wish to listen to music without forcing everyone in a square mile radius to listen to their music also. Less overall power output than previous items. Now we are getting into the ‘creme-de-la-creme’ of component subs. This is the higher shelf product from Rockford Fosgate which features all the sharpness and quality as well as twice the power of the P1S4. The reason this item is found in 4th place of this list is not because it’s the fourth best. I mean this thing BUMPS and sounds great! The reason it’s fourth is simply because its cost reflects its power and quality, which may simply be more than is needed by many people. This is more for the audio connoisseur who can afford to build a system that is even better than it needs to be, which doesn’t likely describe most people. Overall power and quality are superb. Not cheap, possibly overkill for many situations. Here we have a dual voice, powered subwoofer kit by Kicker. This is a kit that is of the higher end variety. On one hand, if you are going to spend that much on a sub for your car, you may as well just hand pick your components, as that kind of money is likely to be spent by people who are audio snobs. On the other hand, even the audio snob would recognize that this thing delivers what it promises in a pre-configured, out of the box solution. Pre-configured for high-end quality at impressive power ratings. All the cost of a high-end sub without the room for custom component selection. So there you have it. Now go forth and rattle every window on the block, wake every baby and set off every car alarm with your new big-bad-bass-booming subwoofer! 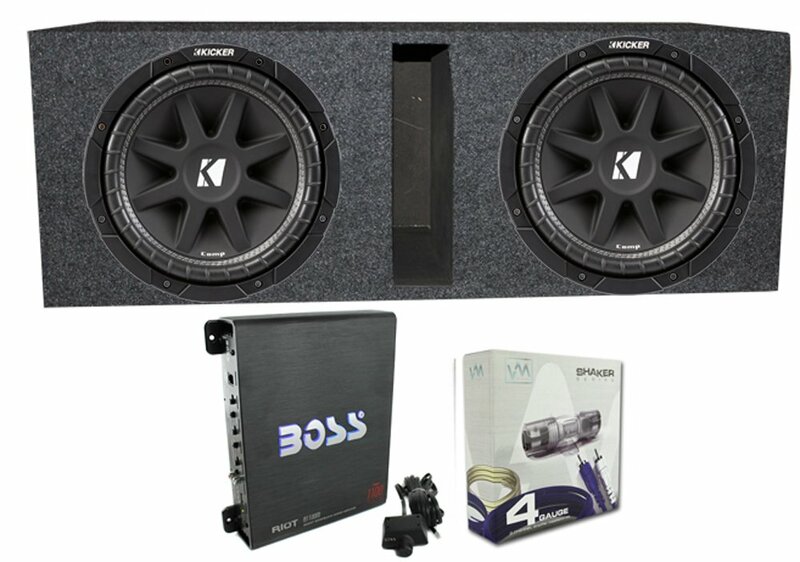 But if you’ll ask me, I pick the Boss CH10DVC 10" 3000W Car Subwoofers Subs+Sealed Box Enclosure+Amp+Amp Kit, it has everything you’ll need for subwoofer for the price that is affordable. I hope this has helped guide you to choosing a sub that makes you happy and fits your needs. If you have any feedback, recommendations or insight to share, please feel free to leave a comment below. Thanks for reading and share this with your loved ones as well.